If you are upgrading to Yoast SEO premium from Yoast SEO free, this review will help you understand the difference between the two. I have been using Yoast SEO for quite some time and I find it one of the best WordPress SEO plugins ever. I have recently compiled a list of the best free SEO tools, other than Yoast SEO which you can use to enhance your site’s ranking 50% more. Yoast SEO has a lot of options to make any website search engine friendly. You can also find plenty of tutorials from plugin author and SEO experts to use this plugin to its full potential. 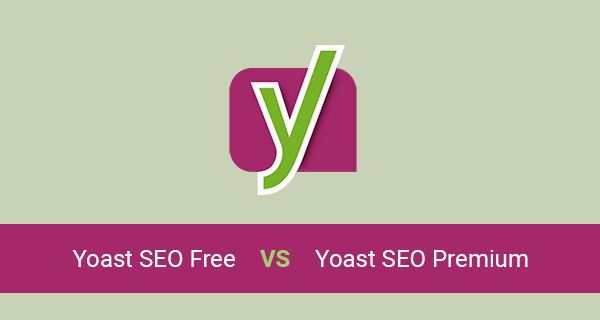 Here is a side by side comparison of Yoast SEO free and Yoast SEO premium. I will do my best to include all the pros and cons of using each one. At the end of the post, you can also find a comparison table. Yoast SEO premium gives you an option to set multiple focus keywords for a piece of content. You can add up to 5 keywords on one page. A focus keyword helps you perform SEO analysis of that keyword on the page. Focus keyword itself is not picked up by the Google search algorithm. Focus keyword is only there to help you focus your SEO on that keyword which you will type in the focus keyword box. If you use multiple focus keywords on a page, Yoast SEO will tell you where you can use these keywords throughout your page. While optimizing your content for multiple focus keywords, you might not be able to get all green bullets for every keyword. This is because, you have only one meta description and one URL, and you don’t want to stuff these with multiple focus keywords. At some point, you may need to move or delete a post or page form your site. This could be very risky. It is because when any of your old URL gets some visitors, they will see a 404 not found error. Therefore, it is important to redirect old URLs to new URLs that contain the most relevant information. The other thing you can do is to tell your visitors that the page they are looking for is deleted or redirect them to a temporary page. 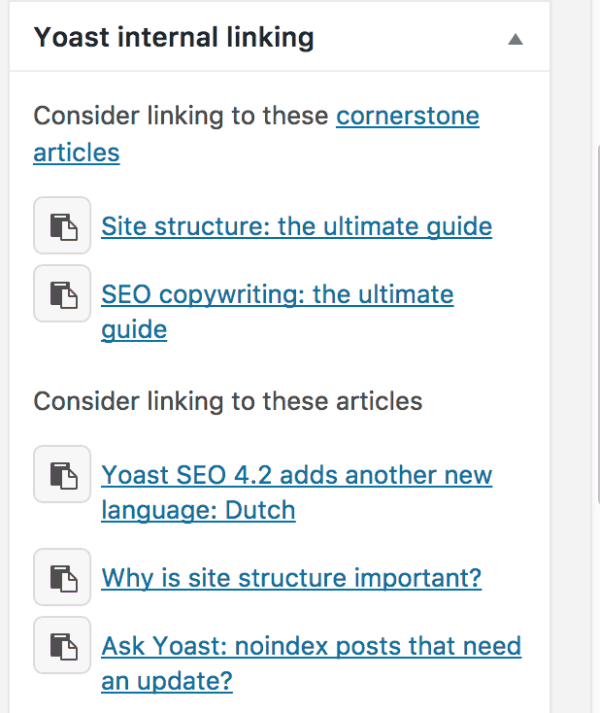 With the Yoast SEO premium plugin, it is easier for you to manage all this from the WordPress Dashboard of your website. While using the premium version of Yoast SEO, you don’t need to get help from your developer to redirect old URLs, there is a redirects manager in the Yoast SEO premium from where you can fix these broken URLs. This feature of the plugin also allows you to create REGEX (Regular Expression) redirects. These redirects help you to redirect a whole group of URLs that contain a specific word or phrase. To rank on SERPs, you need to create content. High-quality, informative, and relevant content to the keywords you want to be ranked for in the search engines. The more content you have, the better chances you get to be ranked. However, lots of content may create some other problems like how you are going to show Google that which posts are related, and which are more important. For this, internal linking helps you out. In Yoast SEO premium, there’s this feature of internal link suggestions. This feature will show you suggestions to link to other relevant pages of your website when you are writing the content. This feature is really important from SEO point of view because internal linking is very important to boost your SEO. One of the perks of using Yoast SEO premium is 24/7 email support. You can send the support team an email and get quick answers. This will help you improve your knowledge on the topic of SEO as well as how to use this plugin to its full potential. It could be a helpful feature for beginners to learn SEO. Whenever you have a question regarding a Yoast SEO feature you can send them an email. However, this customer support is good for only 1 year. If you are annoyed by ads or just don’t like to get advertisements in your WordPress backend then Yoast premium is completely ad-free. You won’t see any ad of buying extensions, courses, and support from the developer. Now, let’s have a look at the main features of yoast SEO free version. Yoast SEO is one of the best WordPress SEO plugins when it comes to analyzing content. Once you enter your keyword in the focus keyword area, the plugin will start analyzing your content against best SEO practices. These practices include readability, keyword density, and outbound links. 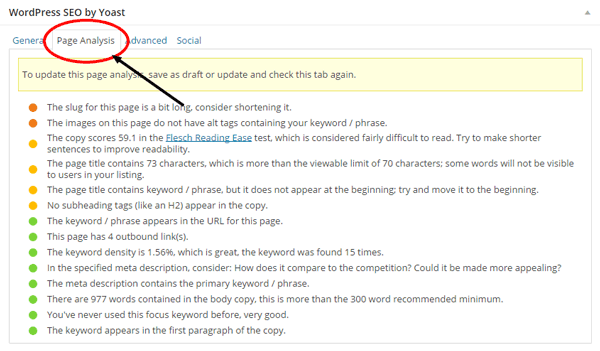 However, unlike the premium version, in the free version of Yoast SEO, you can input only one keyword. The signal lights scoring system enables you to easily identify the areas of your content where you can make improvements. XML sitemaps help Google to discover pages of your website. If you have applied a good SEO strategy to your content, but your pages are not indexed on Google, your SEO efforts will go in vain. It is built-in functionality of Yoast plugin and can be used in both free and premium versions. 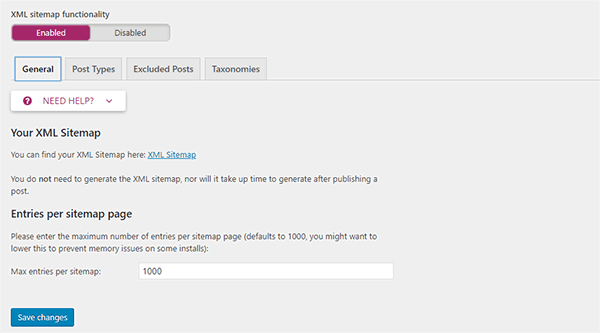 Whenever you publish a new page or a post, this page gets included in the XML sitemap automatically. You can easily enable this feature by going to SEO and checking the option of “XML Sitemap”. Once you have enabled this feature, the plugin will notify the search engines every time a new post or page is published. Also, you need to submit the XML sitemap to Google, Bing, and Yahoo. The following table shows a comparison of Yoast SEO free and Yoast SEO premium. You can rank pretty much every website using Yoast SEO free version. However, I would recommend you to buy the premium version if you are new to SEO and WordPress. Other than that, getting fast customer support is another reason to consider buying the premium version. If you can’t afford to buy the premium version, then you can pretty much get the same premium functionality of Yoast SEO using these WordPress SEO plugins. Let me know in the comments your thoughts why should you or should you not use Yoast SEO premium. I am planning to create a furniture website that will host 12-15k sku’s. (Mostly images and text as it is going to be a furniture site).I will also be hosting on a premium level plan if I decide to go with woo commerce. Here are my questions. 1. We are focusing for local business, so will premium Yoast plugins help us rank quickly? 2. Is woo commerce the right platform for a large scale store? Premium Yoast won’t help you rank quickly as I have already discussed that in the post. As to your second question, yes, I believe Woocommerce is the right choice for a large scale store.